The Early Years Programme for children aged 3-5 years is called the Foundation stage. It is designed to prepare children to begin the National Curriculum for England, which begins in Key Stage 1 at five years and continues to Key Stage 5. 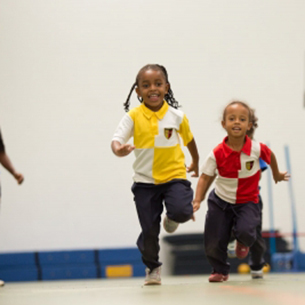 At GEMS, the child’s progress is closely monitored and assessed against appropriate age performance standards. Every encouragement and help is provided for children to attain their full potential. The focus is on the whole child development; proper attention is given to social-development skills, knowledge and understanding that children need to interact efficiently in a complex and changing world. At GEMS Cambridge International School – Nairobi we believe in a well-rounded education that ensures every individual student thrives and discovers their own strengths and abilities, whatever their passion or talents. By creating a friendly, open and encouraging learning environment, enriched with extra-curricular opportunities, we help students succeed and reach their full, unique potentials. By creating a friendly, open and encouraging learning environment, enriched with extra-curricular opportunities, we help students succeed and reach their full, unique potentials. We work to develop strong and constructive relationships with you, the parents and guardians.